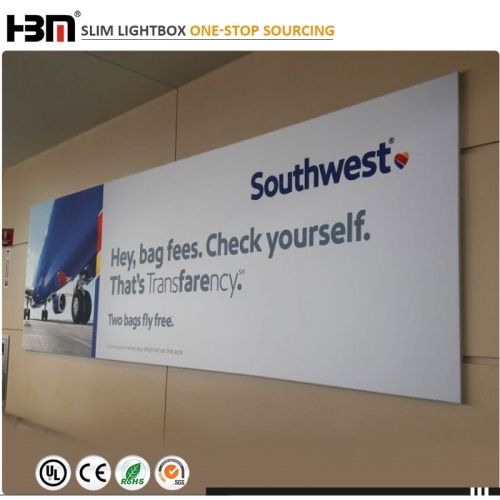 Advertising backlit fabric led light box is used for indoor wall decoration.60mm slim fabric light box which is made up of aluminum profile and diffuse reflection backlit LED,with fabric and dye sublimation printing. 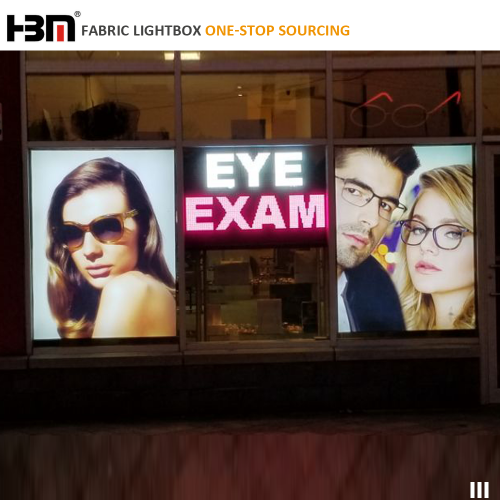 textile fabric frameless advertising display LED backlit light box is used for glasses window advertising display. 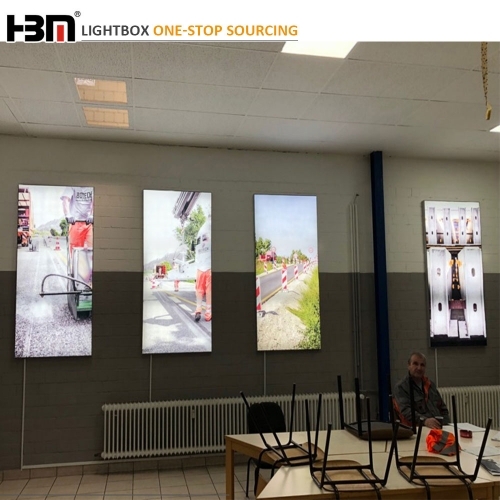 Dye-sub high quality printing, comfortable brightness and thin frame make the advertising attractive. 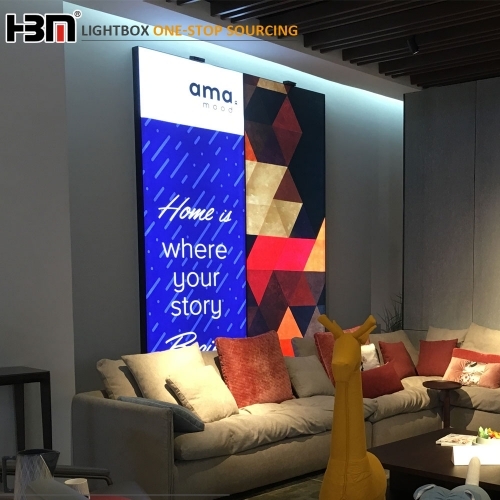 2018 new ultra thin 52mm textile fabric light box, is used for indoor wall decoration and advertising display. 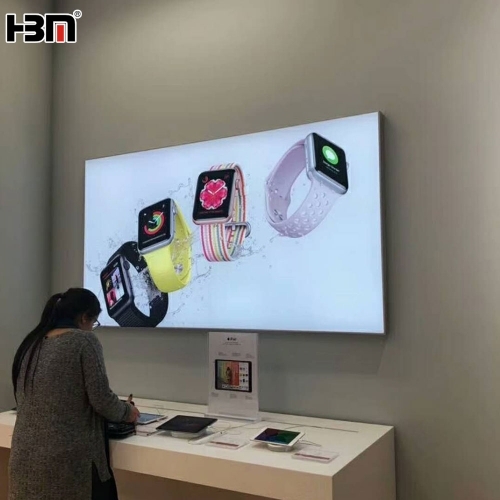 Frameless frame,custom sizes and backlit LED sourcing, can display with wall mounted, ceiling hanging and standing as your requirement. 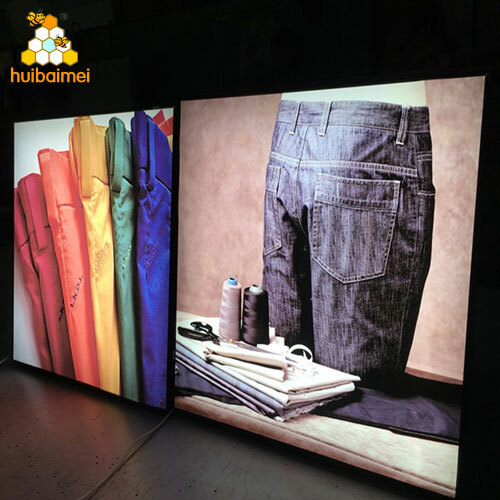 fabric light box is more and more used for indoor wall decoration. Not only the thin 65mm aluminum profile, but also the lightweight fabric poster on the front. Warm lighting makes suitable graphci photo for people. 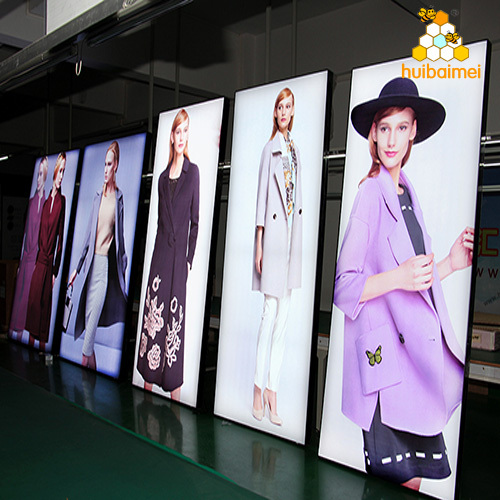 Ultra slim fabric light box,especially for without lighting picture frame display,customized size,easy installation and quick change poster,can be re-used to save cost,at the same time reach the advertising effect. 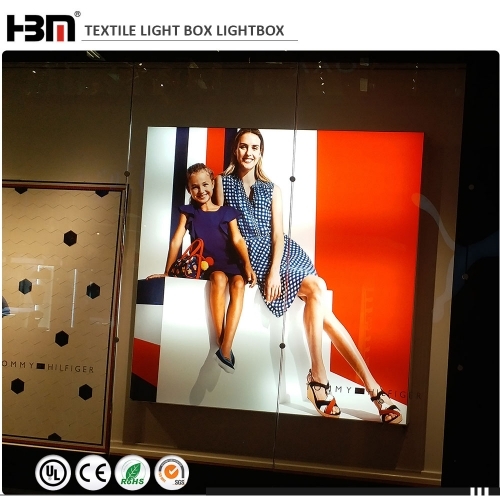 Photo graphic design ultra aluminum profile frame textile fabric light box, is designed of non-light, mostly used for wall mounted photo frame. Easily assemble. 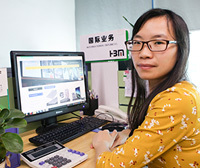 Easily assemble and customized size. 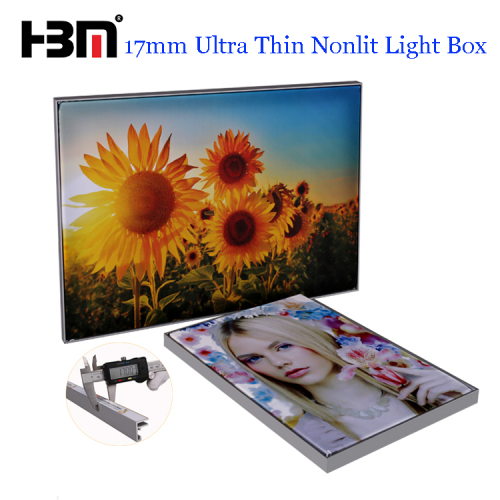 ultra-thin 17mm aluminum photo frame frameless fabric light box, design of non-light, mostly used for wall mounted photo frame. 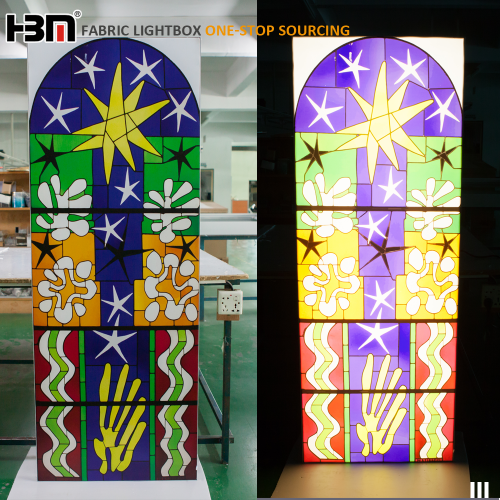 Easily assemble.The frame can be customized. 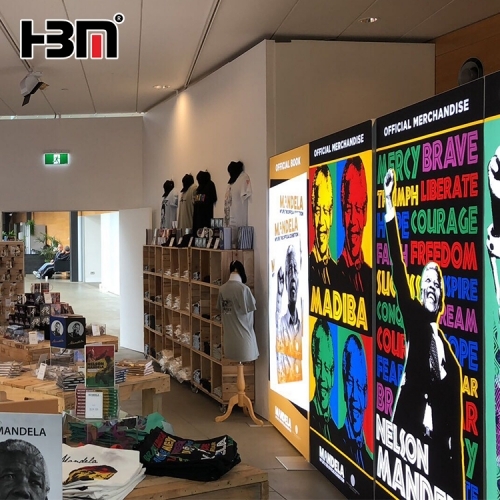 Single side floor standing 80mm depth aluminum frame lightboxes,with backlit led strip,brand power supply,with 260g high quality fabric of dye sublimation printing,with aluminum-plastic board,CE/ROHS certificates approved.